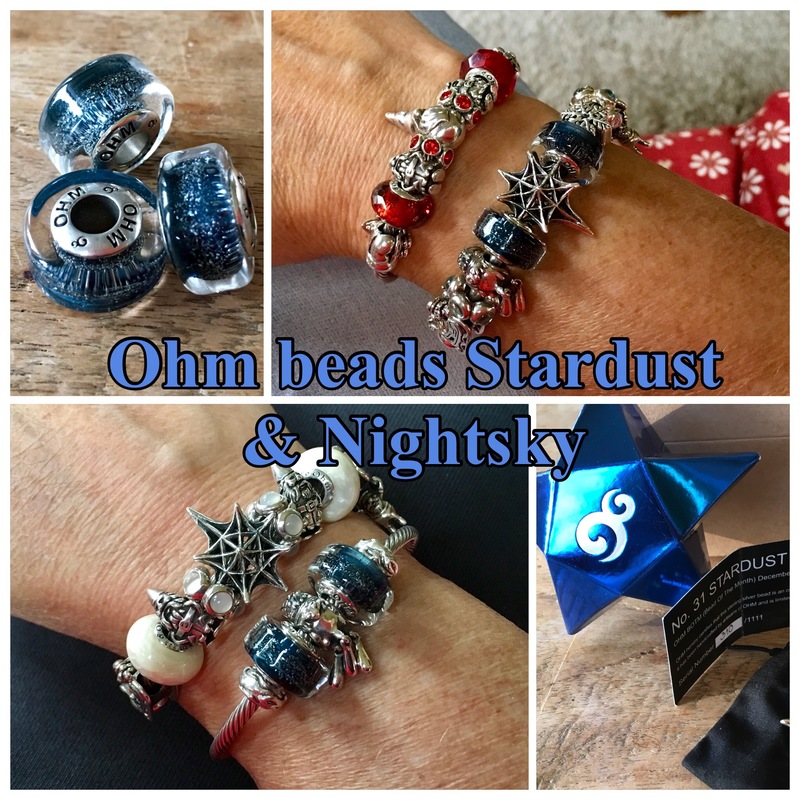 Ohm beads released two beautiful designs for the festive season: Stardust and Nightsky! 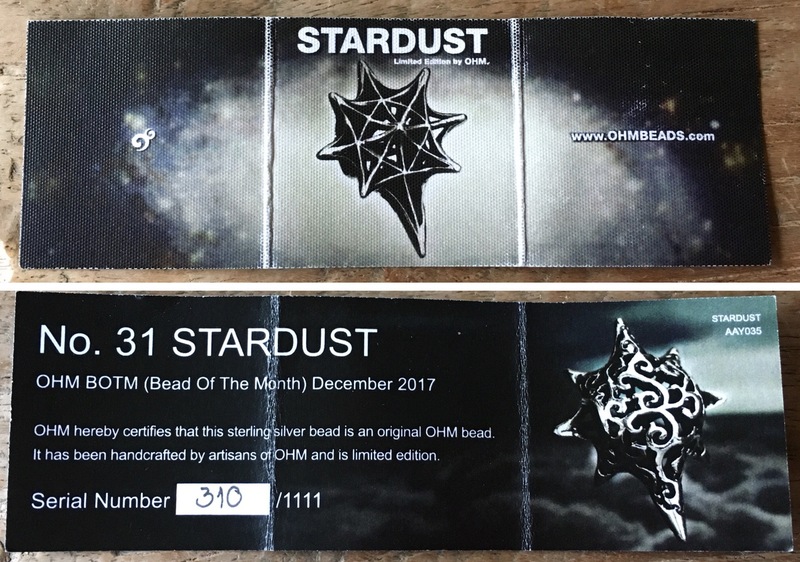 Stardust is Bead of the Month December 2017. 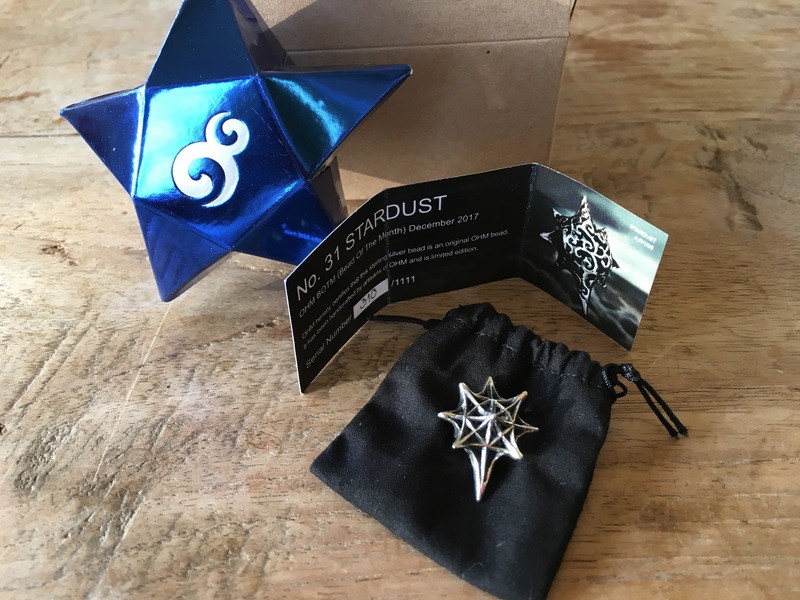 It comes in a beautiful box shaped like a star! And a certificate saying this is limited to 1,111 beads. This is no. 310. 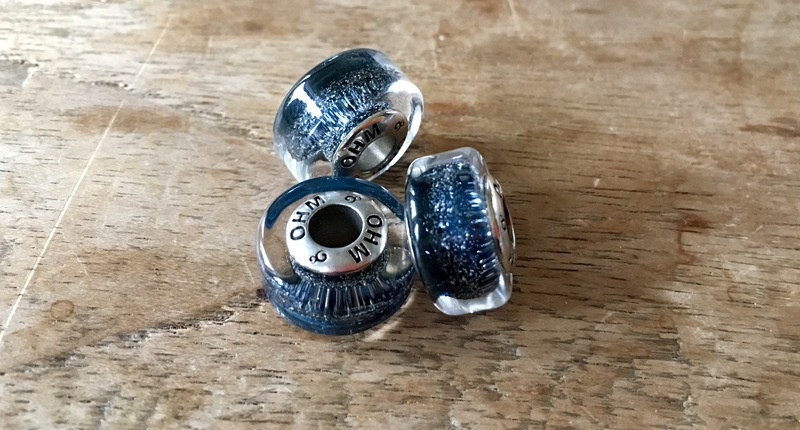 This number is engraved in the bead. It is very comfortable to wear because the back is not only gorgeously designed but round and smooth. 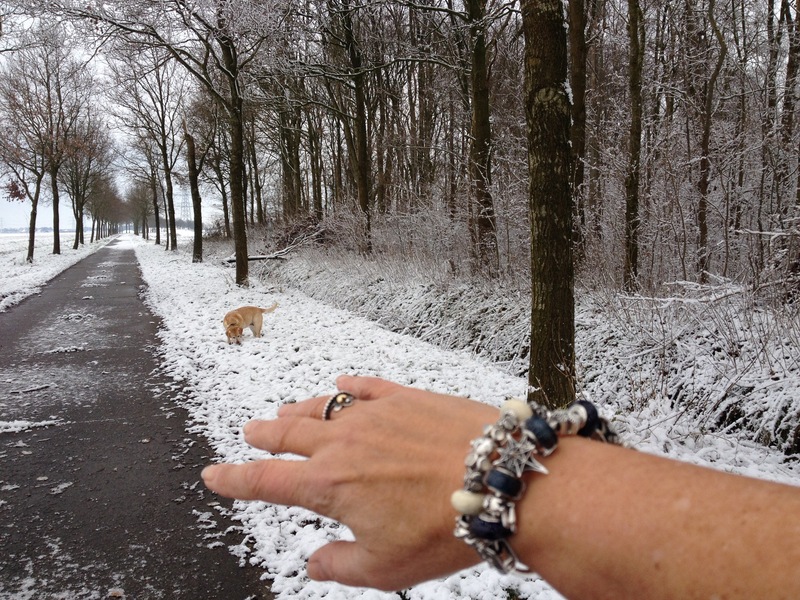 Stacked on a Pandora leather with a bangle called Go With The Snow. 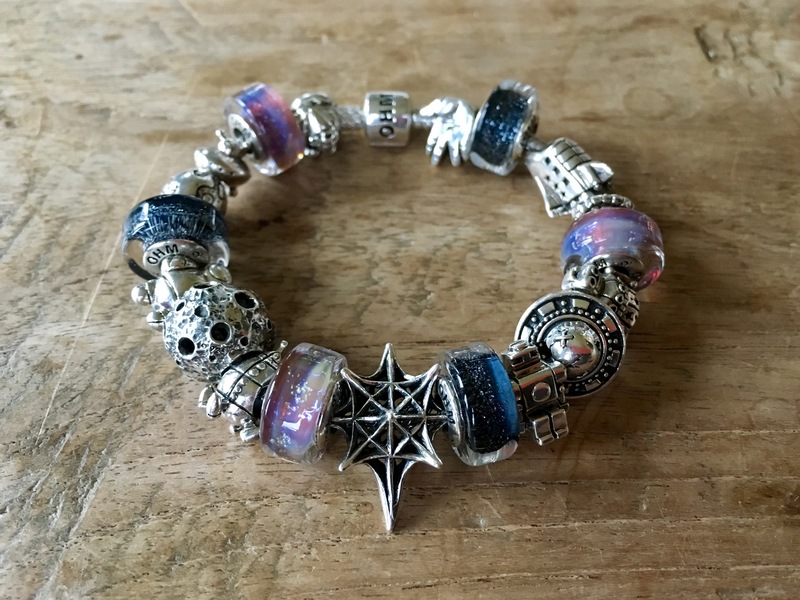 From left to right: Trollbeads Winter, Ohm beads Sugar Sleigh Ride 1.0 (LE 2014), Ohm beads Ice Lux, OhmGnome, Pandora Moonstone cabochon, Redbalifrog Tomte, Pandora Moonstone cabochon, OhmGnome, Ohm beads Ice lux, Ohm beads Sugar Sleigh Ride 2.0 (BOTM October 2016). 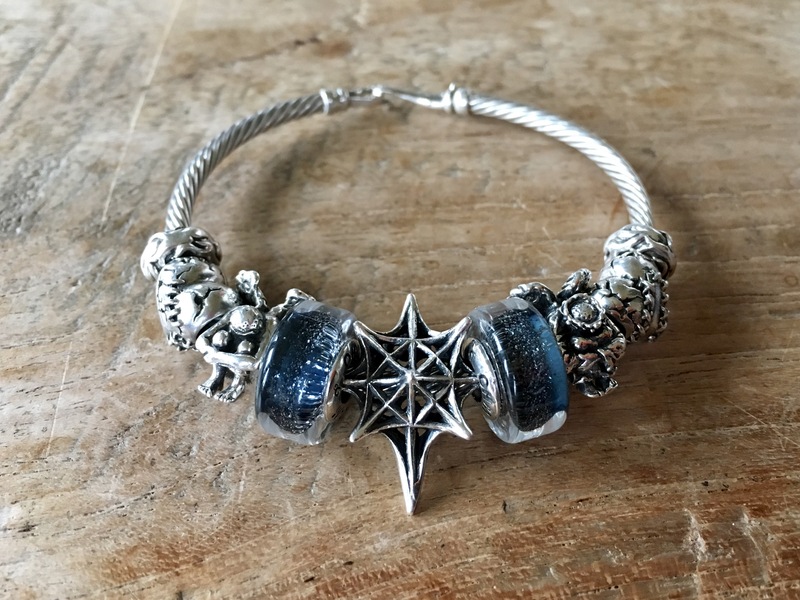 Nightsky is a beautiful barrel glass bead! Designed to look like the starry night sky! When I picked mine up from the store I couldn’t resist You Melt Me (LE 2014)! 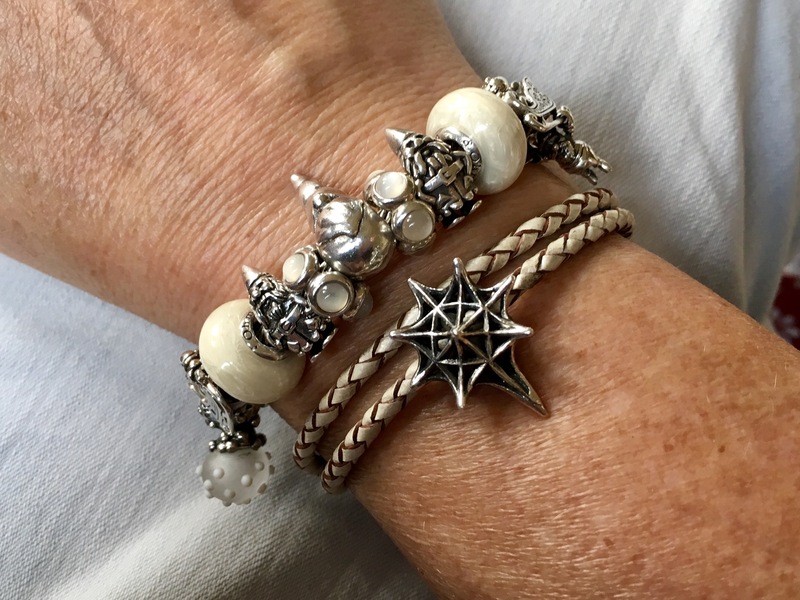 Another stack with Gnomes Snow & Star bangle! 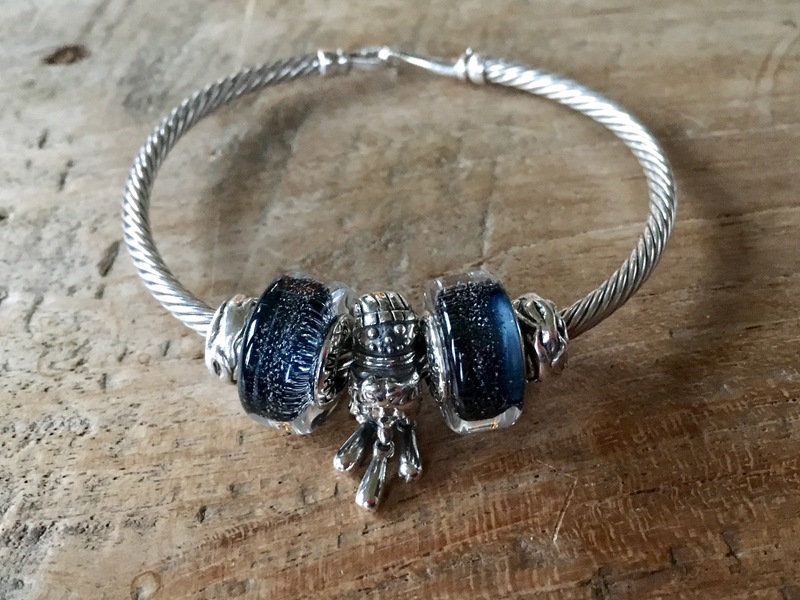 Here is another bangle design Winter Fun with You Melt Me, Snowflake, the Sugar Sleigh Rides and two Pandora topaz cabochons. 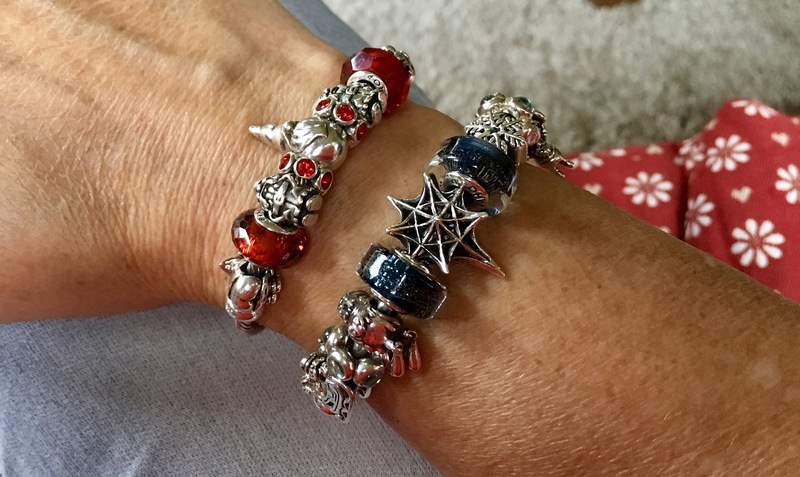 And stacked with the Gnomes Christmas Party bangle in festive red: there’s always that one joker at every Christmas party! Moon Me (Special Edition 2016), Ohm facet glass Passion Red and Living red and two June spinners. Bangle Silent Night with two Love Hurts (LE 2014), OhmMyGod 1.0 (Special Edition 2015) and OhmMyGod 2.0 (Special Edition 2017). 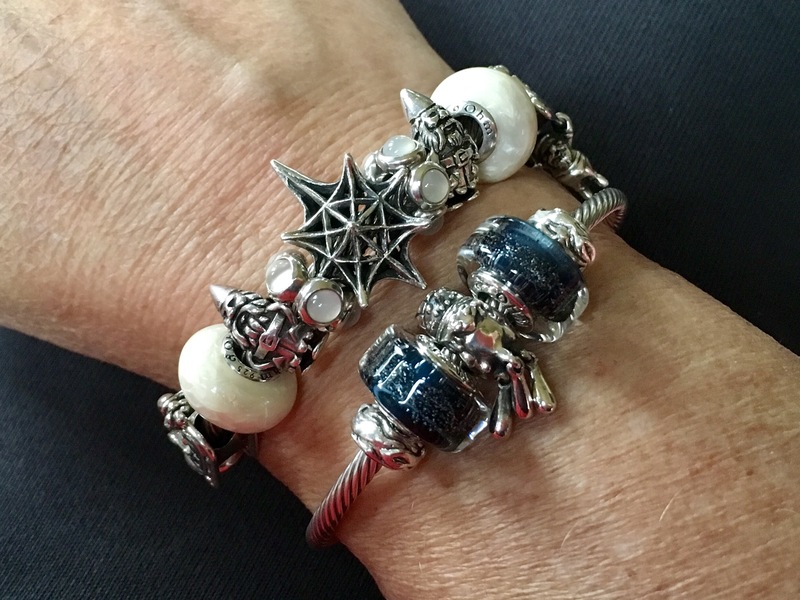 Stacked with the Gnomes Winter Wonderland bangle. 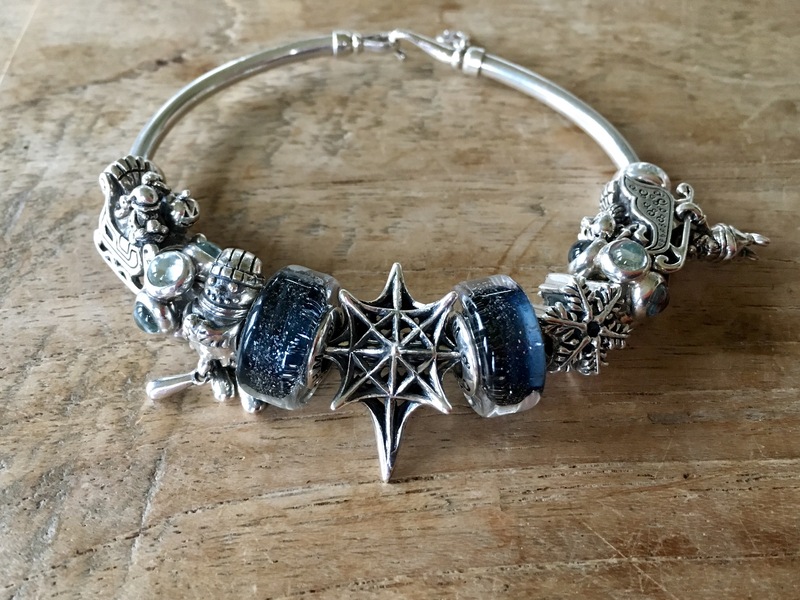 From the left Hear the Troll from ACA Kreations, Ohm beads Lucky Stars, special edition for Star Bijou and to the right Ohm beads Jingle Balls. 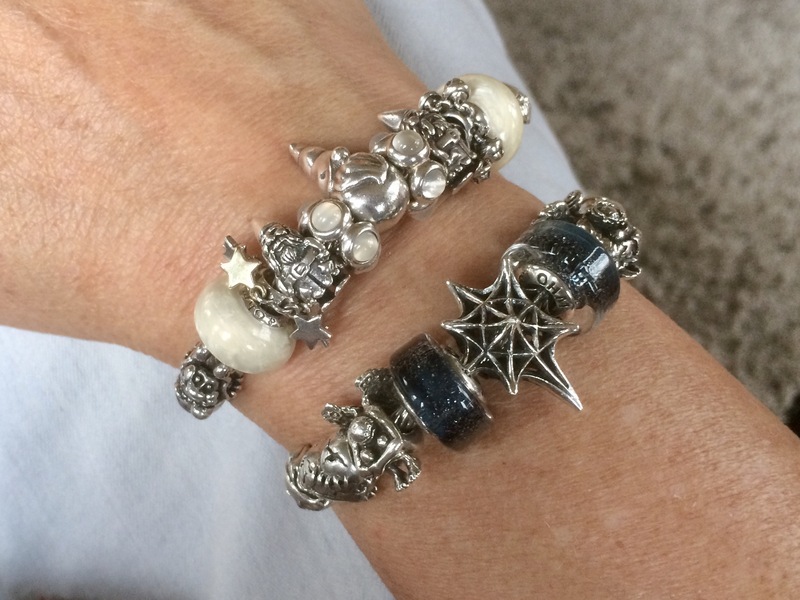 And after Christmas I am going to wear them on my Space bracelet! Night Sky goes so well with Dreamscape! 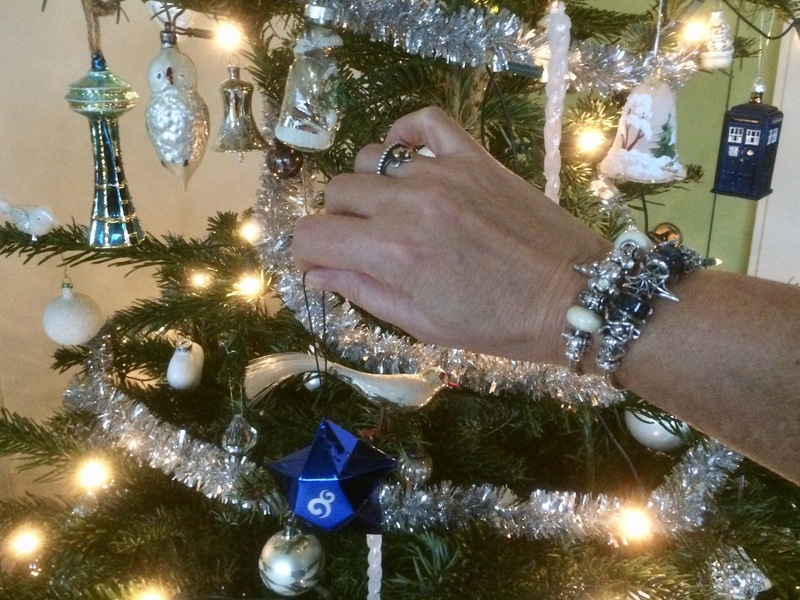 But for now I am enjoying the beads for Christmas!